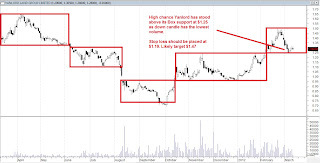 Daniel Loh: Singapore Stock Tip: Yanlord stood above its Box Bottom at $1.25, going higher towards $1.47? 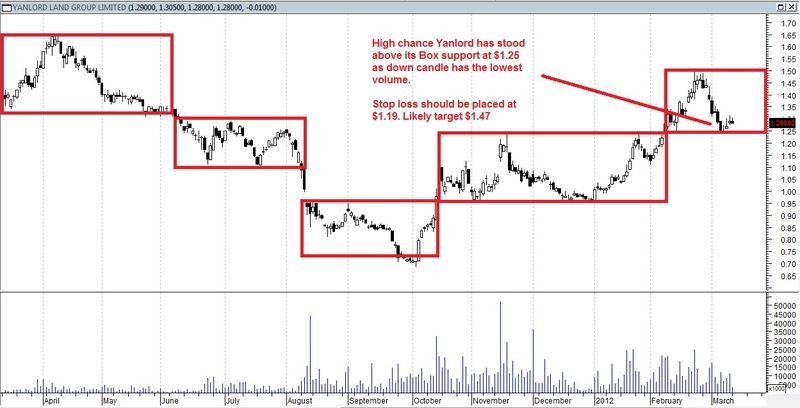 Singapore Stock Tip: Yanlord stood above its Box Bottom at $1.25, going higher towards $1.47? Pls exercise tight stop loss if you go into this stock as March is not as certain in up direction as in Jan. But good chance that the support at $1.25 has stood.